Through Annette's Lens: Nail Colour Of The Day: Shine bright like a diamond…. Nail Colour Of The Day: Shine bright like a diamond…. 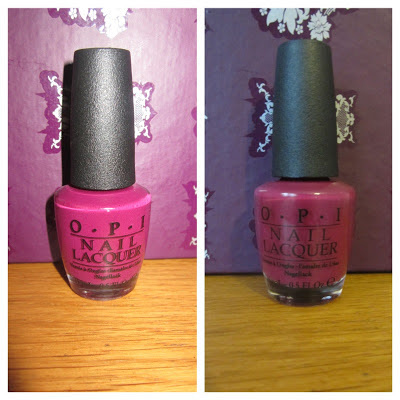 Is my new fall berry colour by OPI - Casino Royale. This shade is magnificent. It's described as deep plum berry colour and is inspired by the Skyfall James Bond Collection to celebrate 50 years of 007 action. I got my nails painted, stones and gems applied at Em Free Styles Nails Salon. Based in Leyton, East London - If you live in London and you want something creative and different, I suggest you head there. With relaxed environment and excellent customer service. Visit their Facebook page for more information on how to book. wow, this is amazing, diamond nails, want it!! !